Uglyworld #500 - Ice-Bat Enjoying The Castle, originally uploaded by www.bazpics.com. 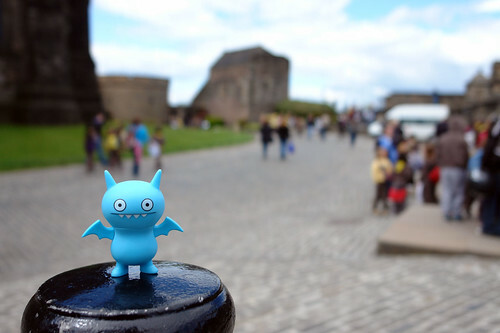 While Cinko seemed happier to be standing on top the cannons and drawing as much attention to himself as possible, Ice-Bat was flying around the top level of the castle grounds checking out all the cool places that we could visit once we caught up. He said he found a Japanese tourist who needed directions to the Crown Jewels, so he gladly pointed the way.